Hey there! Thanks so much for stopping by. I'm Zach Buchel, a guy who’s always excited about Good Food. I couldn’t stop thinking about it if I tried. I love it all. Saying it’s an obsession would be an understatement. I own FarmTableWest (a.k.a. farmtablewest.com), which is an Online Farmer's Market stationed in Cody, Wyoming where we peddle Good Food, and then bring it to you! It's pretty cool. This channel is here to share our super cool interviews with farmers, business owners, or just random thoughts that pop in my head. Hope you enjoy, and thanks so much for your support! Sonja runs a permaculture farm that includes about everything you need to eat in one place. She is now a dairy, beef, pork, lamb, poultry, eggs, produce, and grass farmer. In this episode we chat about how diversity in farming gives you a greater result than the sum of its parts and how Certified Organic isn't always all its cracked up to be. The best way to know what you're eating is to know who's growing it! 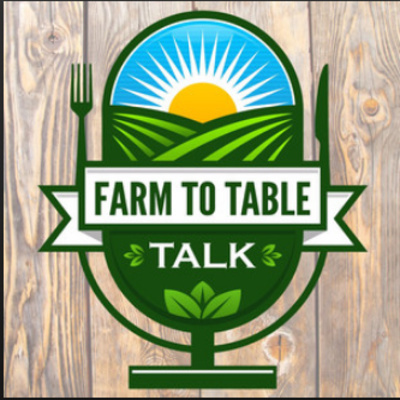 The tables have turned in this episode (pun intended) as yours truly is interviewed by Rodger Wasson for his podcast Farm To Table Talk. Rodger was blown away by what we're growing in the mountain West as he usually interviews people from the east or west coasts. The black soil of our farms shocked him in the best way possible. 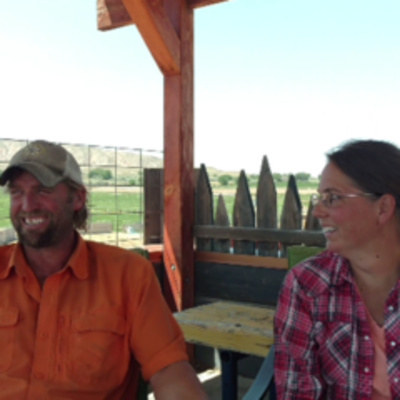 We talk about the challenges of making farm to table happen here in Wyoming, but also the unique benefits of working with farms at different elevations like Cody, Powell, Lovell and Worland. Should be a fun listen where the shoe's on the other foot! In this episode Kenny and I chat about how he came to Cody, Wyoming, how he and his wife became candy makers, and the importance of community building outside of your business. Kenny has tons of experience doing events in the community that bring people together and make it fun to live here. These events benefit the town as a whole more than just Cowtown Candy. They make this place the special and unique place that it is. 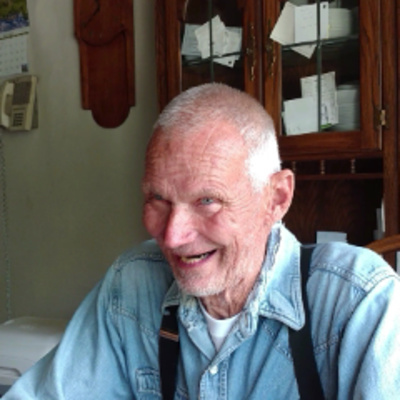 In this episode Jack tells us what it was like to live through the changes America has seen in farming. 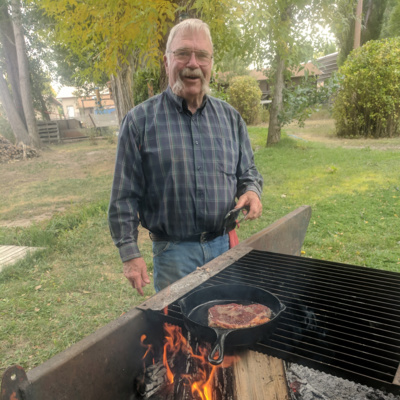 Jack was born on a small diversified farm on the Kansas/Missouri border, eventually worked in industrial beef production, hosted a farm radio show all over the west and is now the Farm To Table Liaison at Central Wyoming College in Riverton, WY. We're ecstatic to connect with Jack about this topic and will definitely have him on again to talk about connecting farmers in Wyoming. The University of Wyoming has a very exciting project they're launching this year that involves growing First Grains in Wyoming. These grains are fairly rare these days due to their difficulty to grow and low yields. UW is launching a brand for these Wyoming Grown Grains called Neolithic and hope to build the brand over the next few years to develop a product that small to mid size farms can grow all over the state. Caitlin is one of the catalysts on this project and tells us all about these wheats and the project as a whole. To learn more visit http://www.uwagec.org/neolithicbrand/ or contact Caitlin at 307-347-3431 or cyoungqu@uwyo.edu . 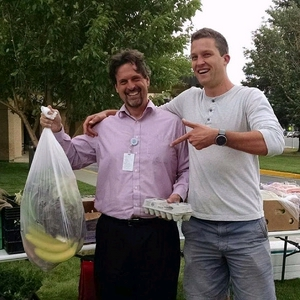 Farm To School is happening in Park County! Gen talks about her background with nutrition in Alaska and success stories there that she's trying to make a reality in Cody. The momentum that she's started has gotten the ball rolling and hopefully in the future most of the school's lunch program will be locally produced! 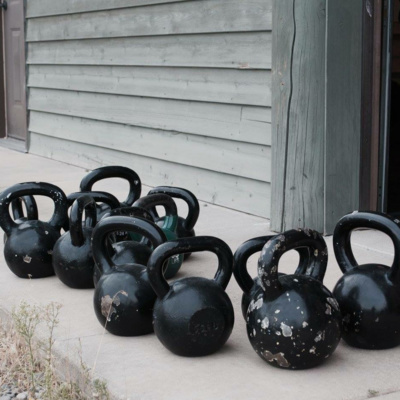 If you'd like to support her fundraising efforts drop off or mail a check to Park6-f2s, 919 Cody Ave. Cody Wyoming 82414 or email genevievesheets@park6.org for more information! Porter is a certified Health Coach through the Institute of Integrative Nutrition in New York and pursuing her Masters Degree in Clinical Nutrition. In this episode we chat about getting kids excited about healthy eating at a young age, and some fun ways to do it. Enjoy! Joel takes us on the journey of how her family arrived in Cody from South Carolina. She also tells us why probiotic food like her kombucha, fermented pickles and kimchi help feed our gut with good bacteria to fight the bad. She talks about her big dreams to teach people about farming in the future as well. Her 4 year old son Jacob also chimes in with his $.02 a time or two. Bob takes us on a journey of what life used to be like for tourists coming to Cody and Yellowstone. Coming from many different parts of the country, people had never seen bears, eaten camp food, or traveled to the west. Bob's family paved the way for future generations to come and enjoy this part of the world. 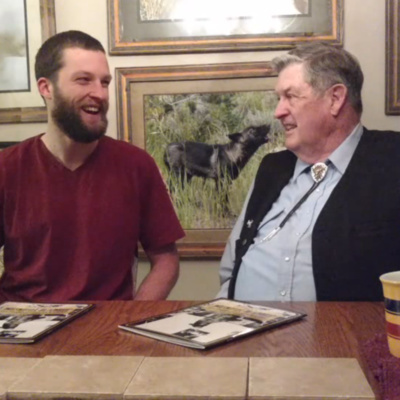 How Dale has connected Cody, WY with his grass fed beef for over 30 years. In this episode we get the scoop from Wyoming's Willie Wonka, A.K.A. Jake Robertson and his wife Erin. 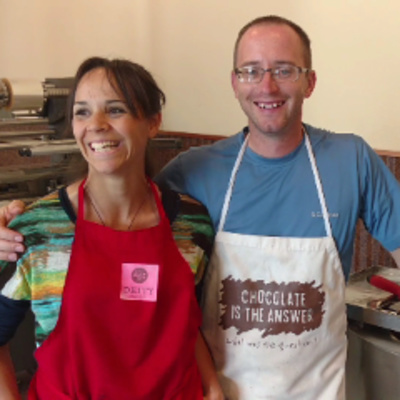 Learn how they got started making chocolate in Cody, Wyoming and how insanely good for you dark chocolate is.